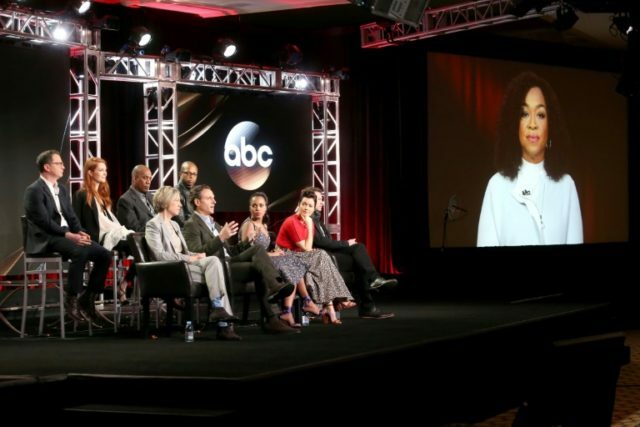 Los Angeles (AFP) – ABC’s prime-time political soap “Scandal” launched mid-season with little fanfare in the spring of 2012, to tepid reviews and disappointing ratings. Following the exploits of Emmy-nominated Kerry Washington as Washington, DC crisis manager Olivia Pope and her team of problem-solving “gladiators,” the show didn’t immediately take off and it looked destined to be strangled at birth. Its army of vocal Twitter fans, who also call themselves “gladiators,” helped ratings for “Scandal” soar more than 50 percent to 12.7 million an episode by 2014. But its pioneering showrunner, “Grey’s Anatomy” creator Shonda Rhimes, has been credited with the insight that stars and producers live-tweeting episodes along with fans makes a difference in ratings. “Gladiators: ‘Scandal’ would not have the opportunity to be on magazine covers without all of you watching. Thank you for making it happen!” she would tweet, giving fans a feeling of belonging that they’d never had before. Rhimes would offer personal insights into production and the scriptwriting process and, most importantly, rope in the cast to post their own thoughts in real-time. By the second season, “Scandal” was drawing 119,000 tweets per episode and ratings began to climb, particularly among the millennial age group that advertisers covet. “It completely transformed my perception of social media. I was very skeptical and judgmental about it, and just thought… it was irrelevant to me,” said Goldwyn (“Ghost,” “The Belko Experiment”). “It’s kind of like being in a Broadway theater with 1,000 people there and you’re talking to them,” he said. The cast makes sure to live-tweet for audience in both the east and west coast time zones, said Cornelius Smith Jr, who plays White House communications director Marcus Walker. Social media aside, “Scandal” has an equally important reason to be proud of its reputation for pioneering TV, — its commitment to diversity. “When we first aired most of the questions I received centered around the fact that there had not been a black woman as the lead in a television drama in my lifetime,” said Washington, 40.